Crazy Favorite Things by Janet Rae Nesbitt of One Sister. 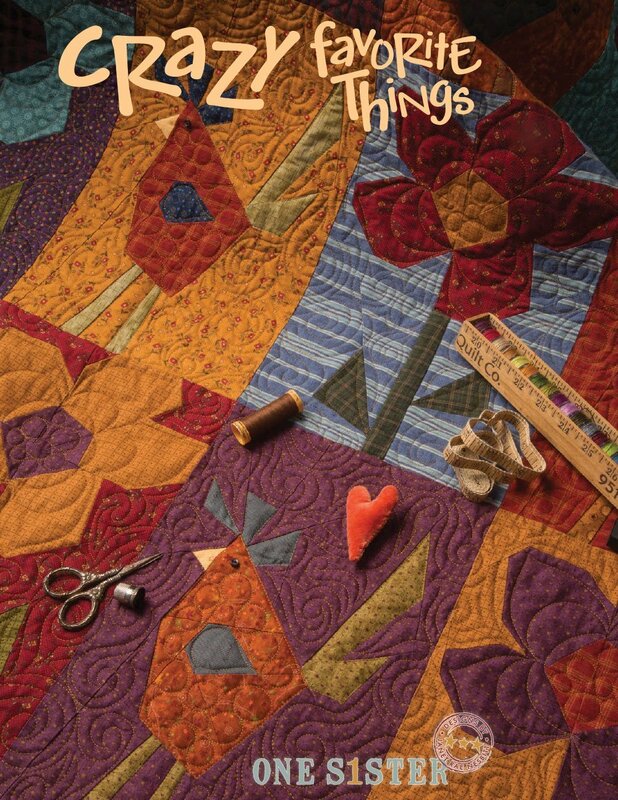 The books includes 13 different crazy pieced blocks including some of Janet's favorite things: birds and bees, flowers and trees, cats and dogs and stars up above, these things we do love! All the blocks, except for the bee block, finish to 9" X 14" and can be set in a variety of ways to showcase your favorite things!